It’s hard getting your resume in front of a hiring manager. The economic downturn, coupled with an increase in technology, can make it feel like you are sending your resume into a void, never to hear back. Chances are, there is a hiring manager or recruiter on the other end that is overwhelmed with resumes, scanning them to find keywords that will make them put a resume in the yes pile. The same goes for electronic recruiting systems that scan through resumes, searching for the right words on your resume or CV. While you can’t read the minds of recruiters – or computer programs for that matter – there are ways to tailor your resume so that a human or bot will pick up on keywords and give your resume a second look. 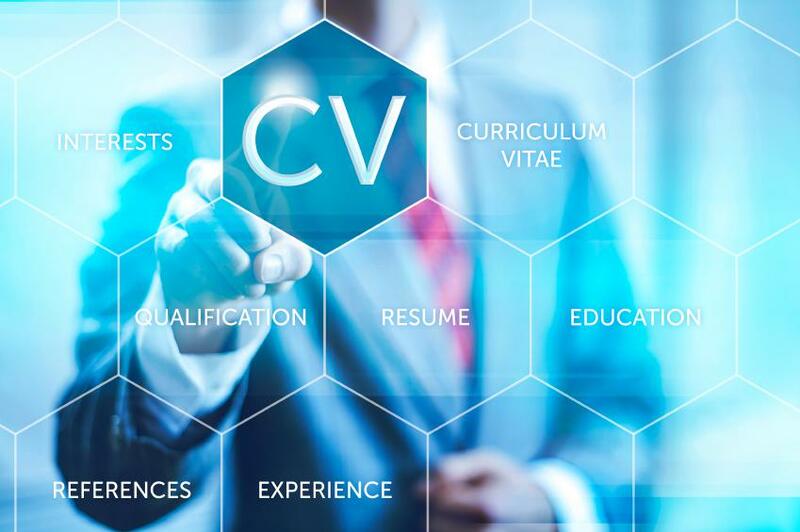 We spoke with a number of people in the tech industry who are experienced with sorting through IT resumes and asked them what keywords catch their eye during the hiring process. Sean Gallagher of Racer Sign Up finds that there are 5 keywords that trigger his interest in a candidate. They include, “Experienced; lots of past experience at the position. Trained; trained beyond collegiate education. Achieved; produced something great in the past. Managed; overseen activities or people in the past. Improved; shows can make things change for positive.” These are keywords that signal personal traits that speak to your work ethic and accomplishments at past jobs. The company you are applying to can tell you a lot about the keywords they value most. Spend some time evaluating their website, the job description, and what projects the company is working on or has worked on in the past. “We're hiring many developers every month and review multiple resumes every day. We pay a lot of attention to ‘open source’ keyword. We believe that if someone is passionate about programming, he or she will definitely contribute to the open source community, “states Yegor Bugayenko, CTO and co-founder of Teamed. Of course, the keywords you use will depend on the job description and the role you are applying for. As Sarah Weinberger of Butterflyvista Corporation states, “Much depends on the specific type of IT, as there are various types: SQL Server administrator, network administrator, etc.,” but some example keywords she suggests include “Linux, CENTOS, Microsoft Exchange, switch management, IIS, security, firewall, component sourcing, Apache, scripting, PERL, Windows Server, network systems, Microsoft SQL Server, TSQL, performance tuning, Citrix, VMware, EMC, VPN, workstations, printers, and LAN tuning.” Picking out words from the job description and including them in prominent places on your resume will ensure that a computer program picks up on them as well as a recruiter. Much like reading a job description is crucial to writing a CV and resume, it also plays a huge part in discovering the best keywords computers or recruiters will be looking at for that particular job. It might take longer, but redrafting your resume for each position will increase your chances of getting noticed by the person looking at it. “If the job description includes acronyms, use them the same way they are used in the posting. Include both the acronym and the spelled-out version of each technology you have experience with,” states Julie Desmond, IT and Software Recruiting Manager for George Konik Associates. Similar to how job titles can change, the same goes for software says Morgan, “You might have VB.net development skills and you’d obviously mention that in your CV, but you could add ‘which is similar to C’ and score a bonus in searches where your details would come up for both VB.net and C. Similarly, it doesn't hurt to include ‘Visual Basic’ in full as well as the abbreviation ‘VB’ to make sure more searchers find your details.” In the days of modern job searching – which mostly take place online – you want to think like not only a recruiter, but also a computer. You want to consider if a computer will understand certain acronyms and include both the full term, and shortened version. It’s also important to remember that not every company uses a high tech computer system to sort through resumes. While larger companies with big recruiting staffs might use that type of equipment, there are still a number of companies that rely on tried and true HR departments and recruiters, with humans scanning each and every resume to find the best candidates. Oftentimes, companies have recruiters or HR mangers that go through piles of resumes, and screen each candidate. Then they deliver a pile of the best-suited applicants to the hiring manager. Therefore, you want to consider the person looking at your resume before it reaches the hiring manager. They might not be an IT manager, but they are informed on what to look for in a resume by the department that is hiring in their company. Desmond states, "Think about who’s looking for you. A recruiter or HR manager starts every search by talking with the hiring manager and then compares what the manager needs with what the job description asks for. Once the requirements and the posting are in sync, the recruiter posts the position and begins an electronic search for candidates. If you were hiring, what words would you search on first? The words used in the job description, right?" The keywords you use on your resume will help it get noticed, and uploading your resume to Monster’s database will help recruiters find you before you find them. And don’t forget to check out openings on monster to find IT jobs in your area. Monster wants to know: What tips do you have for crafting an IT resume that will catch the eye of a recruiter or keyword search? Let us know in the comments.